Thick, luscious, creamy & sweet Date Caramel. No cooking is involved & it can be ready in minutes. It's refined sugar & gluten-free & you can customize the thickness to make it as thick & spreadable or as thin and sauce-like as you want! I love that is really has a caramelly flavor. And adding a tahini gives it a buttery taste to it. And way healthier! Enjoy! 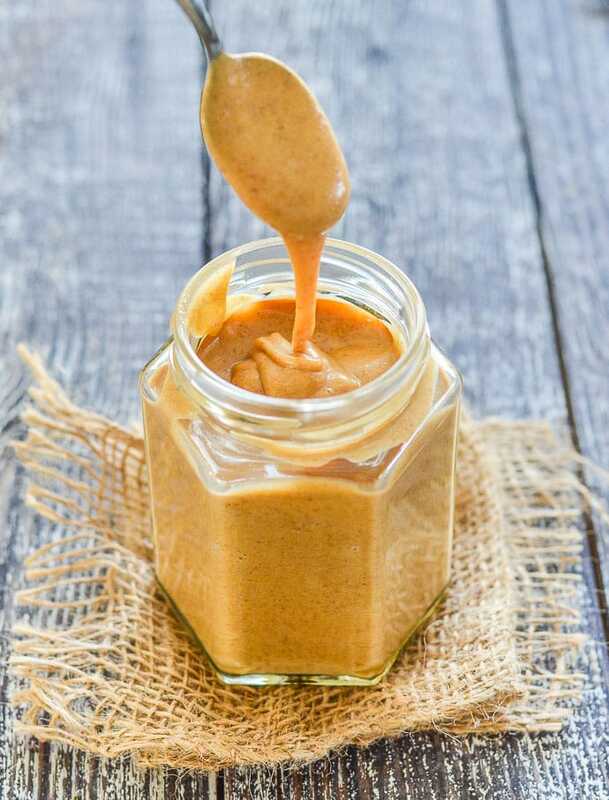 Add the dates, nut butter, vanilla and salt to a blender or food processor. Blend until completely smooth, while gradually adding the coconut milk to get it to the thickness you want. The more you add the thinner the caramel will become. Scrape the caramel from the bowl and into a jar. *The dates need to be soft and sticky and not really dry and tough. If they are are pretty dried out, soak them in warm water for 10 - 15 minutes before draining and using. if you do not have a high powered blender I would recommend doing this even if your dates are quite soft as it will make things easier for your blender. **Cashew or almond butter will give mild, buttery results. Tahini (my favourite for this) will make a stronger flavoured caramel. Has been applied and the results are very good.